I was once caught off guard by a girl in a bar who felt the need to scream out: “I want to touch it! I want to touch it!” referring to the big Beyoncé blond curly hairstyle I was sporting at the time. As soon as she did that everyone in the bar turned to look. at. ME. I had all of a sudden become the object of everyone’s attention when all I had wanted to do was order a Chardonnay. The girl probably didn’t realize what she had done or maybe she did and didn’t care. I was too disarmed to say anything about it in the moment. It was one of those moments that hits you after the fact and everything that you want to say comes out when the person’s not there, so you end just saying it to yourself or a friend. One of the things I’ve learned about myself is that I can’t really let an offense go until I’ve told the person who offended me how I feel. You Can Touch my Hair (YCTMH) was that statement. It was a way of telling those who have stolen a touch or asked for one how it makes me and others like me feel—like an object put on display. But I also wanted to use it as an opportunity to further understand why someone might think that act or solicitation is okay and why black hair is such a novelty. This hair-touching conversation has been going on for a while. It’s not new. But we’ve only been talking about it amongst ourselves. Maybe hearing the other side would shed some light. 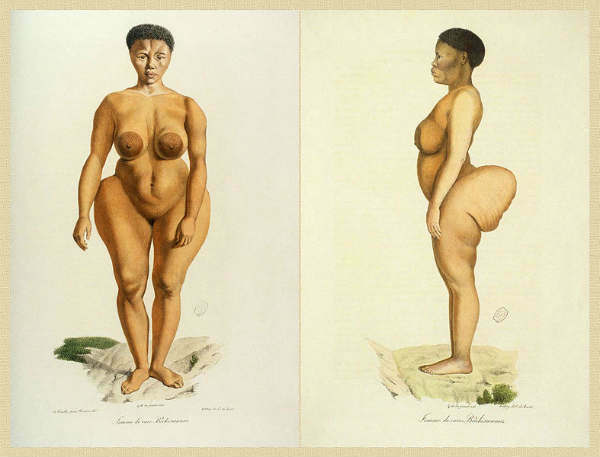 Saartjie Baartman (pronounced “Sahr-kee”) is one of many instances of “other-ing” and exhibition blacks have been subjected to across the world and throughout history and no one wants to see it continue to happen. But was YCTMH really a repeat of history? Were our models put on display without having a choice or voice? Or was there power in the fact that they were extending this invitation on their own terms and with their consent? A lot of of those who were upset with the exhibit also exclaimed, “Why do we have to educate them?” Explaining normal aspects of our everyday lives or even aspects of our history to non-blacks is something no one individual necessarily wants to do. Considering we’ve all pretty much been in America for the same amount of time, they should know us by now. I’ve often been put in situations where I have to explain my hair for sake of being polite to co-workers. The video below was basically my life for two years. But by way of being put in those situations, I’ve actually discovered that I really like talking about my hair. It’s something that’s beautiful and something that I’m proud of and I like sharing it with other people, hence un-ruly.com. But that’s my choice. That’s my feeling about it. We, collectively or individually, don’t have to educate anyone about any aspect of our lives. But I enjoy doing so because people have done the same for me. Throughout my life there have been moments when I’ve been completely clueless about a subject matter and have probably asked some really stupid questions. But people tolerated my ignorance and informed me by answering those questions. And I’m a better person for it. So why not pay that forward? 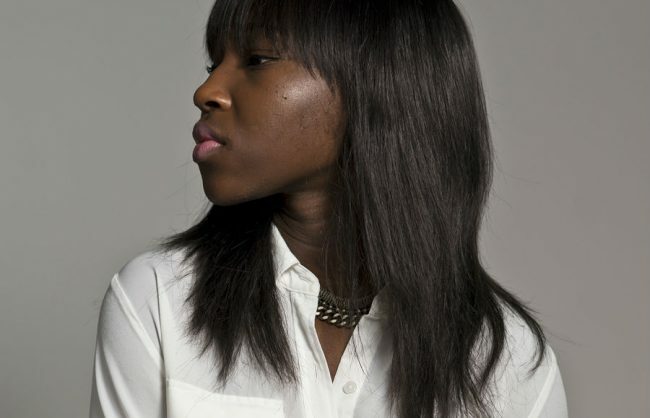 Black hair is rare and special. 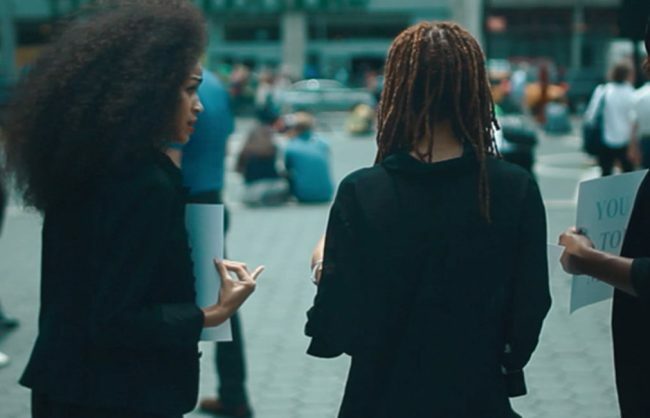 I loved what image activist, Michaela Angela Davis said in our Huffpost Live discussion “… Black hair is magic. It has this ability to change shape and texture….” It’s not surprising that people are fascinated by it. We’re fascinated by it, which is probably why most of the people at the exhibit that were touching and talking and asking questions about hair care and regimens were black women. the show goes on… what can be done? You Can Touch My Hair is now over, but the exhibition goes on. Any time a stranger tugs on some unsuspecting person’s hair, a person is put on display. 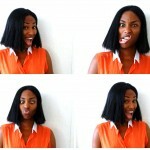 Any time the question, “Can I touch your hair?” is asked, a person is put on display. These barely noticeable encounters that happen everyday is the real exhibition. Although, our aim was more about shedding light on this topic and it’s weight versus saying that all women find this offensive or all women find it unoffensive, this comment illustrates a person reconsidering past and future actions because information that was new to her was brought to her attention. There’s power in the spread of information. And discussions like the one YCTMH started can help spread information. We need more of them, in some shape or form and they don’t only have to be initiated by people in the black community. The part of this that really scares me is the thought that there are some people out there that have no interest in this topic, that have no interest in learning about other people or other perspectives. Those are the people, to me, that are most dangerous; the people that shut themselves off and never grow any empathy because they’ve limited what they’ve been exposed to. You can or can’t touch my hair is not a conversation about hair. It’s much bigger than that. It’s a conversation about how we as “Hyphenated-Americans” all relate to each other. It’s about whether or not we’re taking an interest in or taking the time to learn about each other. That learning doesn’t have to come in the form of our event. It can come in the form of opening up a book or watching a documentary on YouTube. I like conversations because they allow for human connection, like the one Ty Alexander describes. But conversations have to be wanted by both parties. did we accomplish or learn anything? We got the result we expected. We had a moment (four hours out of four hundred years) where we put aside the weight of this five-word question, a moment when both parties involved lowered their defenses, exchanged perspectives and learned from each other. This happened on a small scale. I would have liked to have seen it happen more. We re-confirmed that the answer to “Can I touch your hair?” varies from person to person and even from moment to moment. Some find it demeaning. Some don’t mind it. The one thing I would admittedly have changed about the event was including some sort of “don’t do this to a stranger” and “results may vary from woman to woman” disclosure. We re-confirmed that people are universally offended by being touched by a complete stranger and the event put a megaphone on that cry. I think it’s safe to say that all who went to the event gained something from it. Those who participated, learned something new or gained a sense of empowerment by taking control of a situation that sometimes is out of their control. Those who protested the event had a soap box to stand on and now their passionate messages are getting circulated throughout the web via videos that came out of the event. I won’t lie; I was a little bit sad about the response. To me it felt like people were only looking at the images and the hashtag and judging the event based on its “appearance,” which felt slightly ironic. And even after the event, when people tweeted and wrote about positive experiences, those tweets and posts and videos weren’t given any credence. Some saw petting zoo in You Can Touch My Hair and I understand why. But I saw a cultural exchange. Any good conversation requires you to give up a little bit of yourself, by way of listening, by way of challenging your preconceived notions, by way of relaxing your defense mechanisms and making yourself just a little bit vulnerable. You Can Touch My Hair wasn’t about hair. Hair was an entry point into a larger conversation. Hair was the vulnerability that we offered up, a bargaining chip we hoped would get us what we really want—one brick on the bridge we need to really integrate as Americans. A few really meaningful connections were made at our exhibit and those connections may spawn new connections like them. And those connections might set the stage for the next generation to not have to answer, “Can I touch your hair?” or to willingly answer it but under new context. We’ll be sharing the results of our exploration of this entire journey—everything from the events leading up to it, the event itself and the responses—by way of short video, which will likely be shared in July. EVENT: We’re going to continue the YCTMH hair discussion but this time in a digital discussion panel via Google Hangouts that will be broadcasted live. And, again, we want all walks of life to participate because this topic is not just about us.